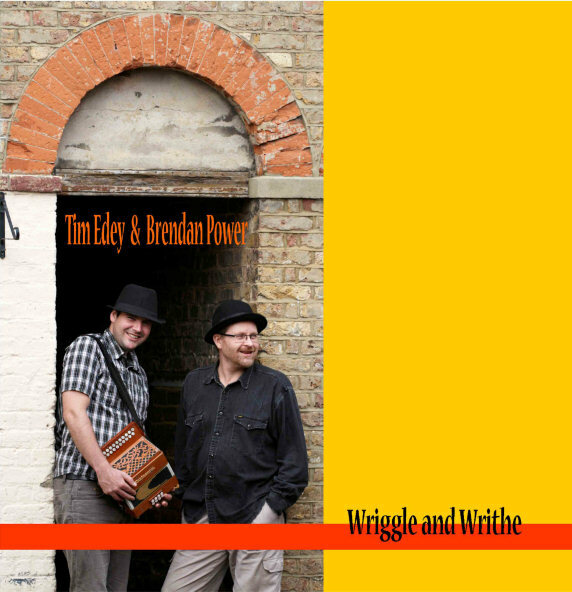 Released in August 2011, Wriggle and Writhe showcases the duo at their sparkling best in 17 tracks and over an hour of music. Almost entirely recorded live without overdubs, what you hear is what you get: two brilliant musicians having fun! Tim (nylon string guitar & button accordion) and Brendan (diatonic & chromatic harmonicas) are both regarded as top world exponents of their chosen instruments, but they possess an extra skill uncommon in the folk scene: a consummate ability to improvise.It's this capacity to think on their feet that makes their live shows so exciting - they never play things the same way, anything can happen! It keeps things fresh for them and the audience. Trying to capture that live magic on disc is not always easy, but Wriggle and Writhe manages it superbly. Scintillating accordion/harmonica duets are interspersed with songs and guitar-based instrumentals so the sound remains fresh from track to track. This album marks the recording debut for Tim Edey as a singer, and many will be pleasantly surprised by the warm timbre of his voice. Brendan also contributes two quirky original songs to add to the mix. But unsurprisingly it's the virtuosity and sheer exuberance of the instrumental tracks that make this album stand out. 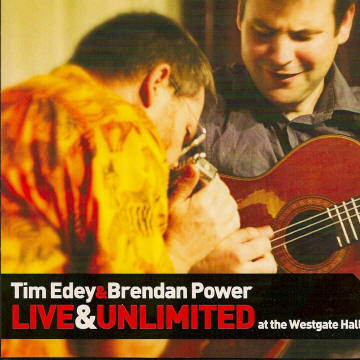 Released December 2012, Live & Unlimited Is just that: all the action from one great gig, shot and edited to capture the energy and interplay that make the duo's shows so special. Plenty of new material and fresh, extended versions of the old stuff!